The vision became a reality, beginning with the unveiling of the Foundation Stone in November 1960 to the opening of The Maurice Zeffert Home on 24th September 1961 – the first and only Jewish Aged Care Home in Perth. This could not have been achieved without the hard work and financial generosity of many people. 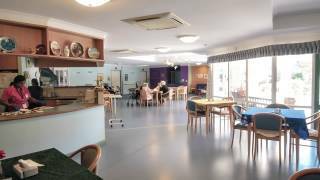 These people shared a passion to offer aged care facilities to the Jewish Community of Perth, Western Australia, that integrated the Jewish customs and traditional way of life. It has now been over 50 years that the Maurice Zeffert Home has cared for the frail-aged in our community, enhancing their quality of life by providing an exceptional standard of service and care. The Home was named after the late Maurice Zeffert- (M.B.E.) a man who was a great leader and communal worker. His wife Toby, made an exceptionally generous donation of five thousand pounds to the Home Appeal in 1959- the year after Maurice Zeffert died, which inspired many more donations and fund raising activities. Due to Maurice’s many years of leadership and communal activities together with Toby’s generosity, permission was sought from Mrs Toby Zeffert by the Executive of the Home, to name the Home after her husband. She agreed and the Home was named in his memory.